The hallways of Krieger Schechter Day School are like a rotating exhibit of student artwork. You’ll see pencil drawings and watercolors, collages and mobiles, Papier Mache sculptures decorated with Mod Podge and oil pastels. Works in every medium showcase the skills and techniques our students learn from Kindergarten through 8th Grade. They also highlight the pride and joyful self-expression that accompany art making. Krieger Schechter Day School places high value on the arts. Students are provided opportunities to come into contact with and create art that is relevant to their experiences and interests. They take risks, experience failure and move into their own success. Our curriculum provides learning that is sequential and cumulative. At every level, students learn to appreciate their own creative efforts as well as the efforts of their peers. 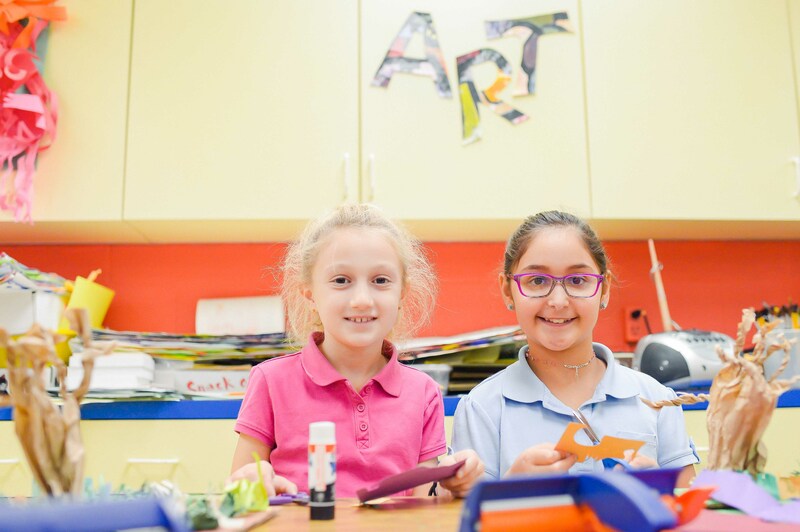 Piloted in 2009–10, our 6th Grade program in Judaic Art builds the connection between Judaism and the visual arts during their Judaics classes. Students undertake projects related to the holidays and Jewish language and culture. Past projects have included creating a pointer (yad) for reading Torah. Guest artists broaden students’ exposure to the larger Jewish arts community.